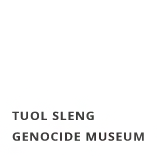 Tuol Sleng Genocide Museum is the memorial site of the S-21 interrogation and detention center of the Khmer Rouge regime. Located in the heart of Phnom Penh, it preserves evidence of a tragic period in Cambodian history with the aim of encouraging visitors to be messengers of peace. Exhibits on the museum grounds may not be appropriate for visitors 14 years old and younger. The ground floors in all buildings are accessible by wheelchair. Only stairs access to upper floors. Please ask the staff for assistance. Our personal tour guides speak Khmer, French and English. Available in: Khmer, English, French, German, Chinese, Vietnamese, Korean, Japanese, Spain, Dutch, and Italian. Photography for non-commercial, personal or research use is permitted. Permission is required for any commercial purpose. Guests will be admitted only with appropriate clothing. As in many places in the world, Cambodian culture dictates that legs and arms be covered at commemorative and religious sites. The Museum and the historical structures and items located on its grounds make up an integral whole protected by law. It is prohibited to move, remove or damage any of the structures or items on the grounds of the Museum and under its protection. Due to safety reasons, ongoing conservation work or in other special circumstances, access to some areas and buildings on the Museum grounds may be restricted or entirely prohibited at the discretion of the Museum Director. The Museum is open to visitors year round. The opening hours are 8:00 a.m. – 5:00 p.m. Entry onto the grounds of the Tuol Sleng Genocide Museum is permitted only with a valid Entry Pass. The Museum offers free entry for Cambodian Citizens, non-Cambodian students, foreigners under 18 years old and researchers in the field of culture and education. An original form of identification is required by non-Cambodian visitors for free entry. The Museum may be visited individually or in groups. An educator authorized by the Museum will be provided to give a content-related guidance during the tour of the Museum grounds for pre-arranged groups or for individuals. On the grounds of the Museum, visitors should behave with the appropriate solemnity and respect, and dress in a manner befitting a memorial site. While on the Museum grounds, visitors must follow the instructions of educators and Museum staff. Visitors are permitted to move around only in the areas and structures specifically made available for this purpose. Visitors should remain particularly cautious due to the specific characteristics of some areas (including unevenness of surfaces) resulting from the historical authenticity of the site. Consume food or alcohol, smoke and use e-cigarettes. Use vehicles of any kind except for wheelchairs and baby strollers. Enter exhibition buildings and other structures in the Museum with baby strollers. Enter with animals, either walked or carried (the prohibition does not apply to guide dogs accompanying disabled persons). Enter with flags on poles, banners, posters, advertisements; conduct canvassing or door-to-door sales. Research surveys may occasionally be conducted with authorization by the Museum Director. Possess weapons, items and substances that may pose a danger to life, health, or safety. Use musical instruments, radio receivers or other acoustic devices, except for ceremonies authorized by the Museum Director. Use mobile phones in the exhibition buildings. Use drone cameras on the grounds of the Museum without authorization of the Museum Director. Enter under the influence of alcohol or other intoxicating substances. Entry onto the Museum grounds constitutes acceptance of these Regulations. Legal measures as specified in the applicable regulations may be taken against persons who do not follow these rules.